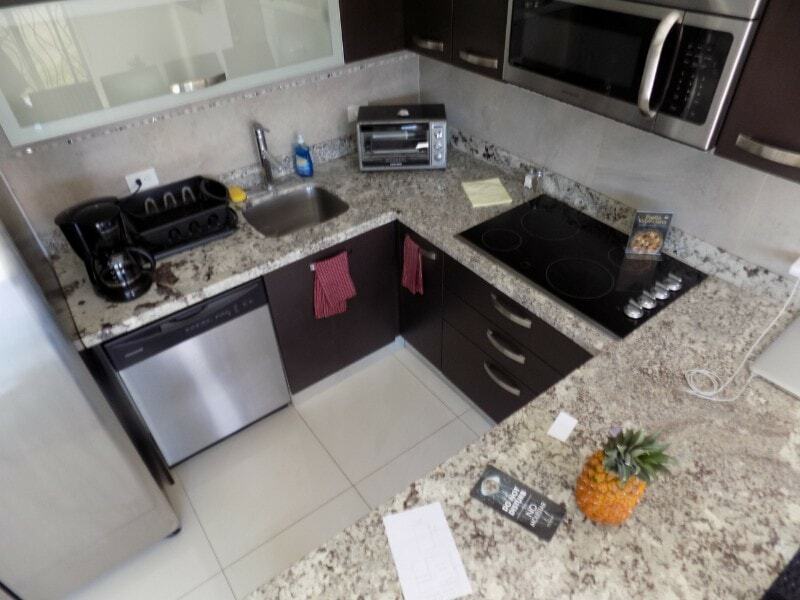 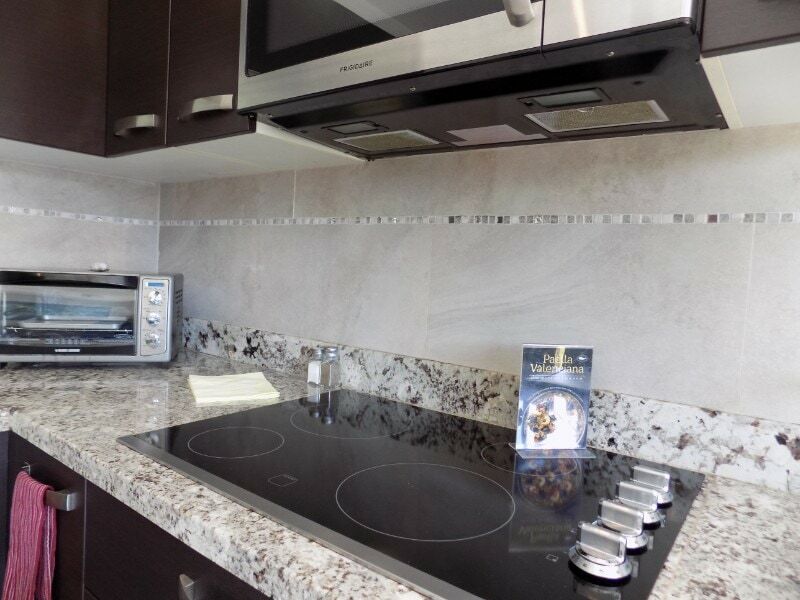 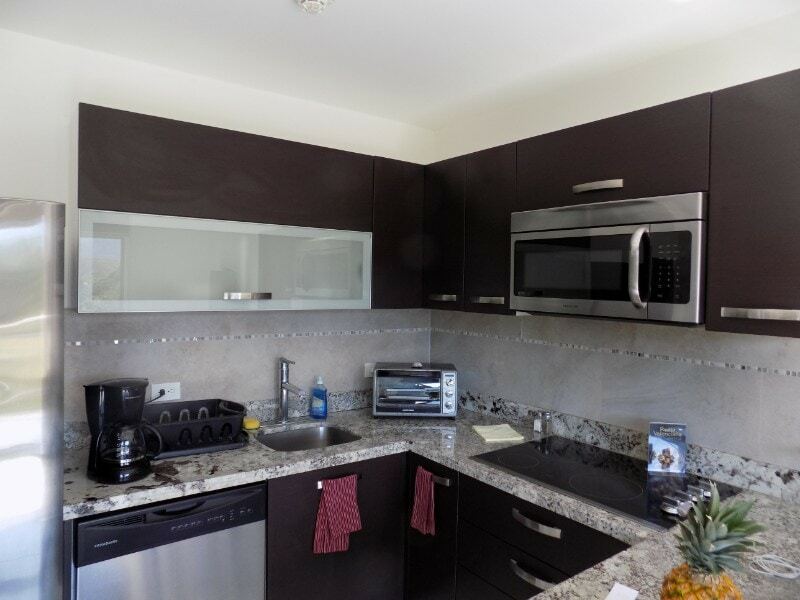 “Oceano” Beautiful Kitchen Suite with mountain view. 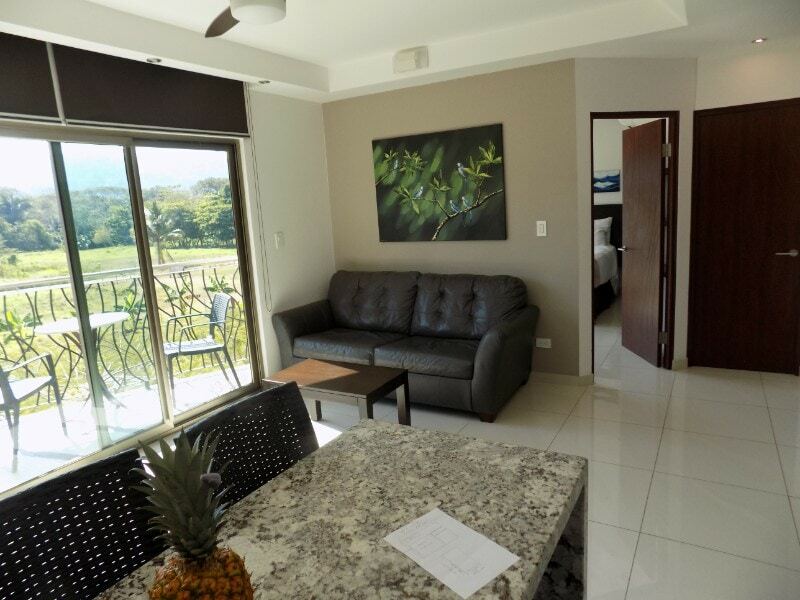 Oceano Suites & Residence at the heart of Jaco Beach is the best destination for a 5-star vacation! 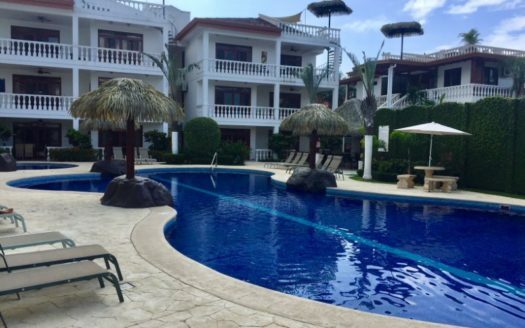 The facility has a full sized pool with Jacuzzi, gym, spa, restaurant, bar, mini-market, tour desk, concierge, art gallery and more. 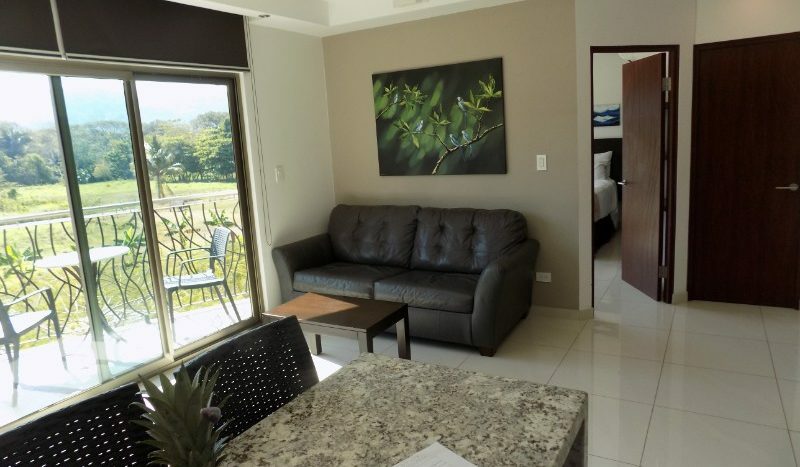 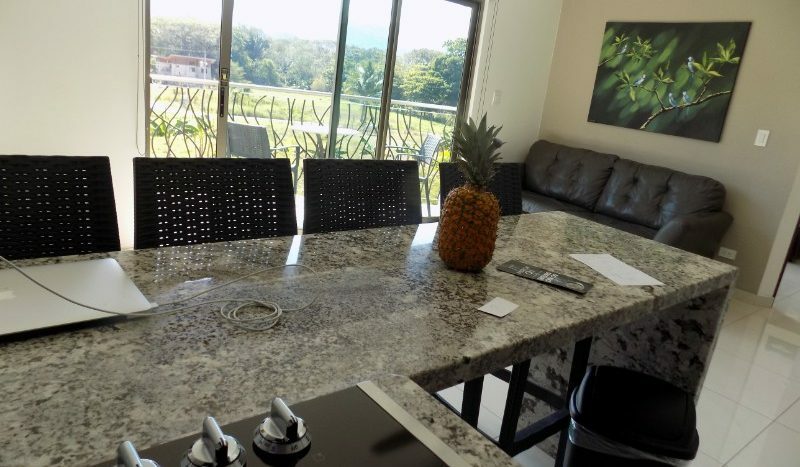 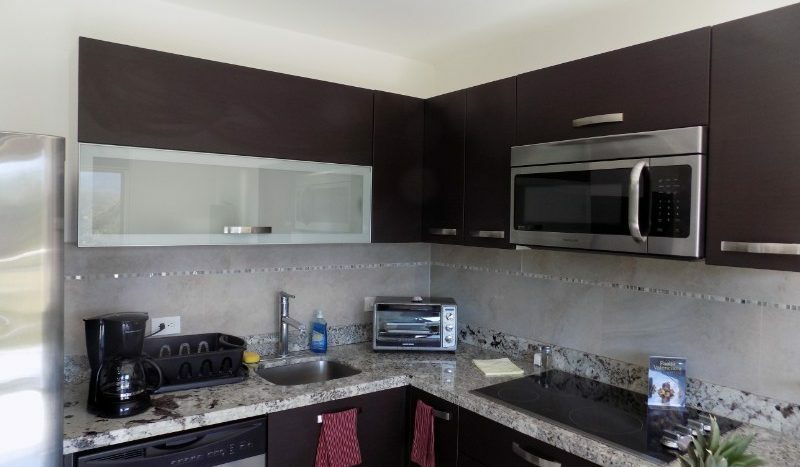 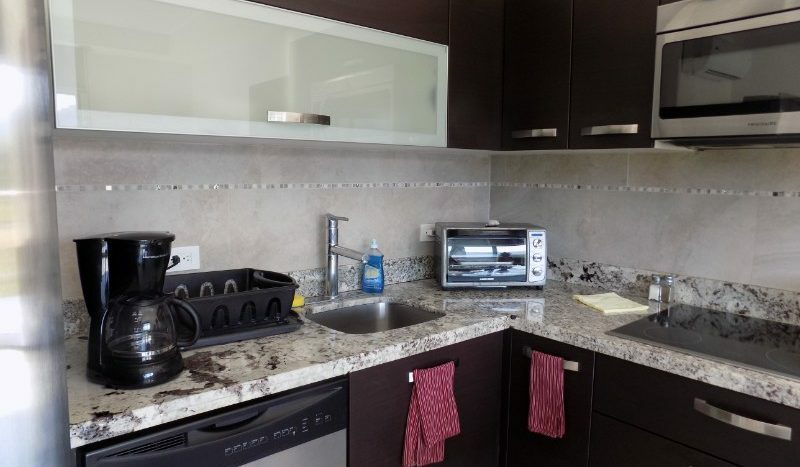 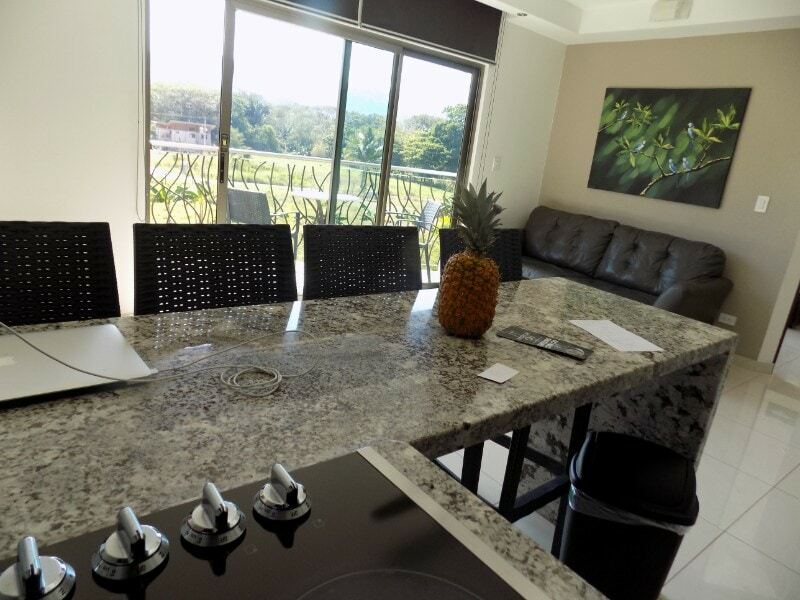 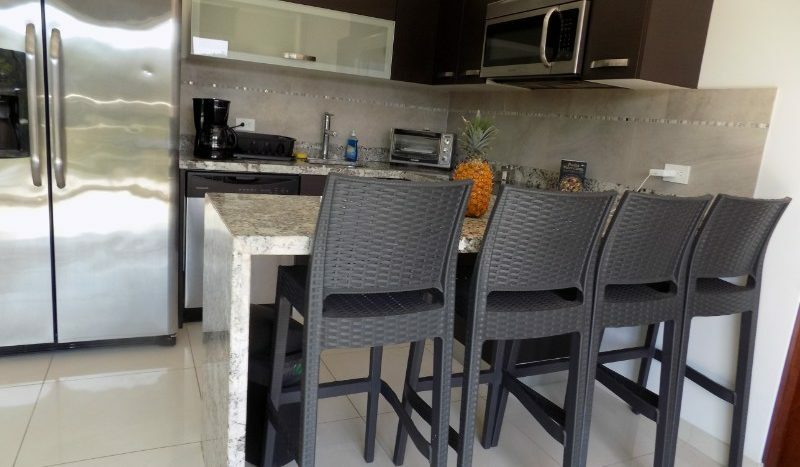 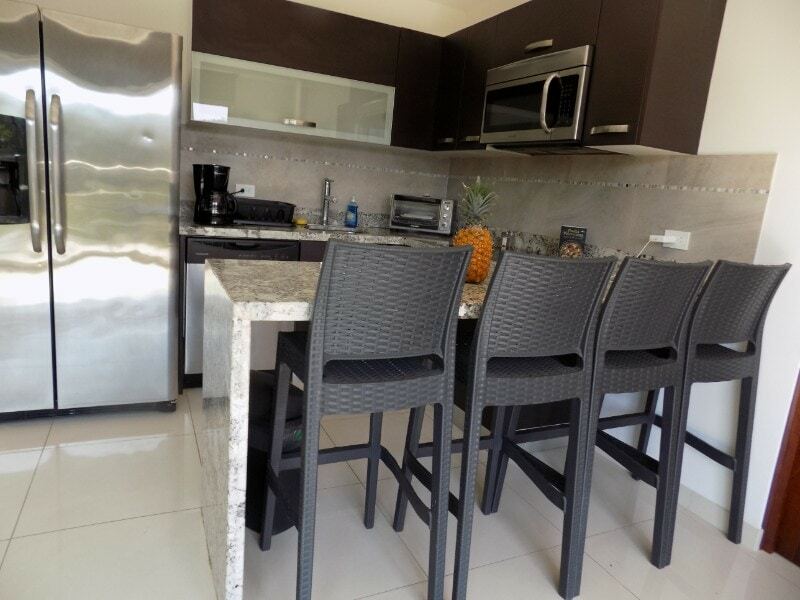 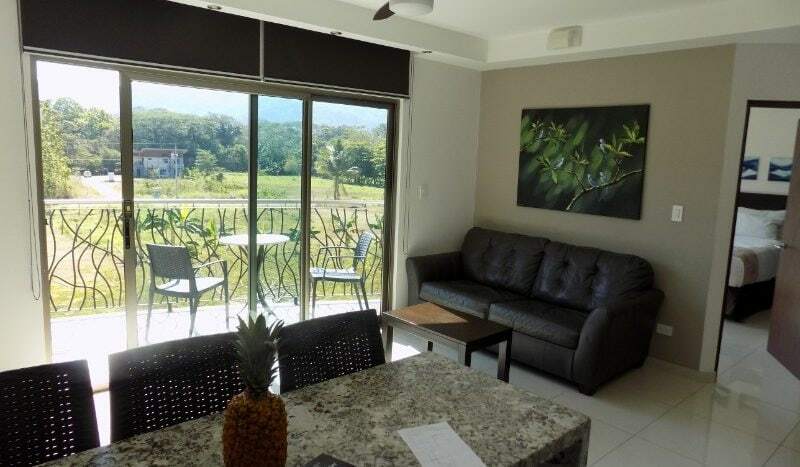 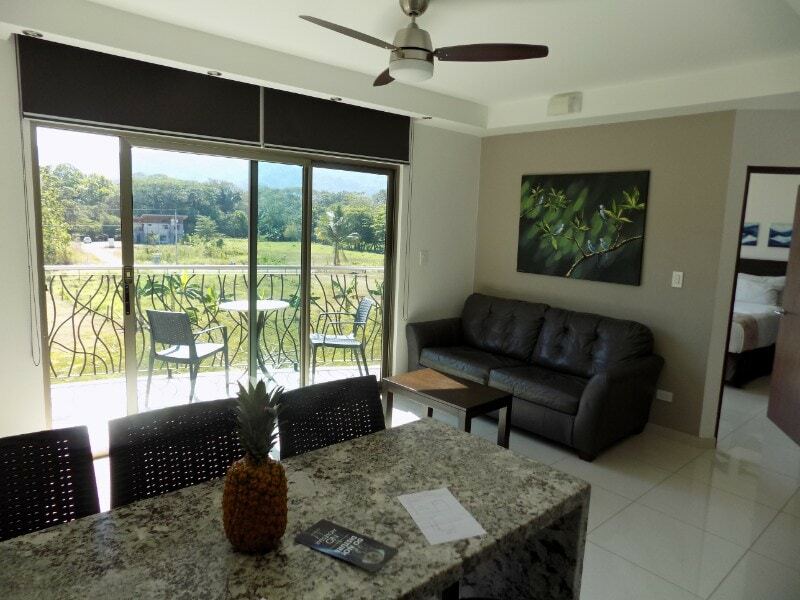 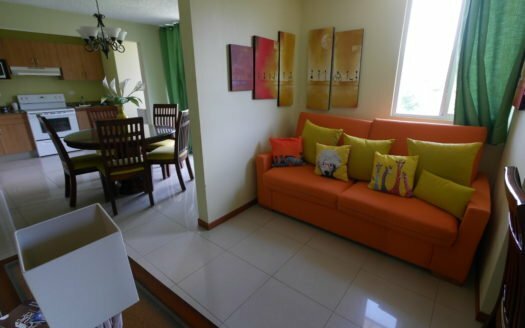 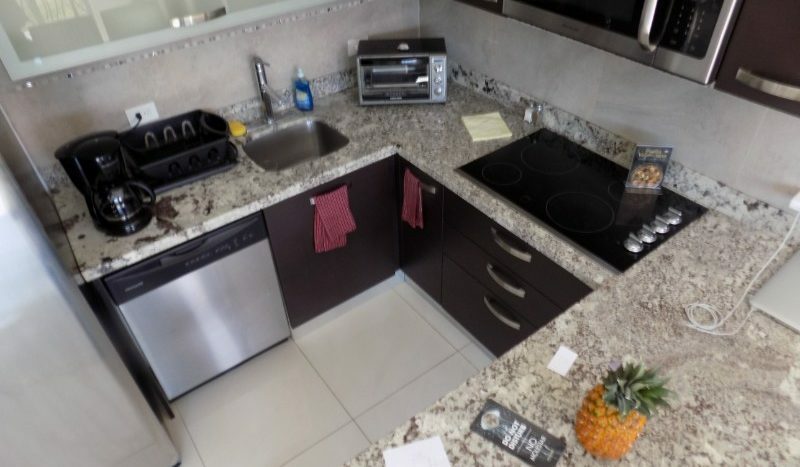 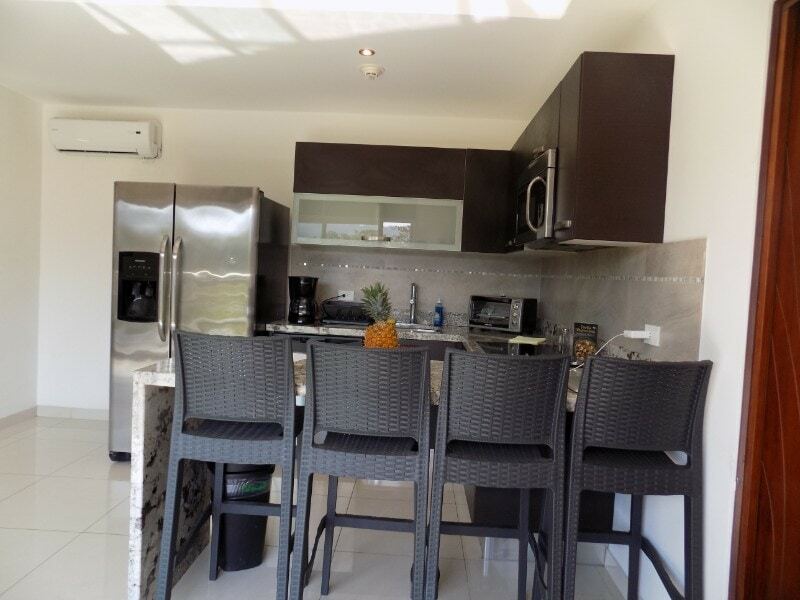 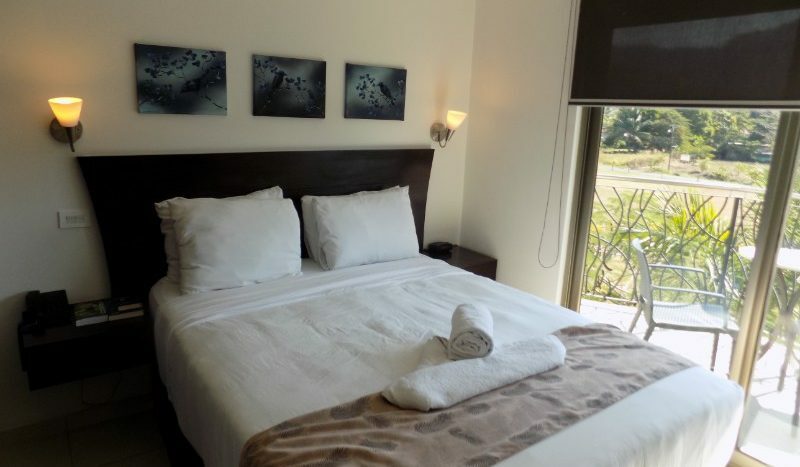 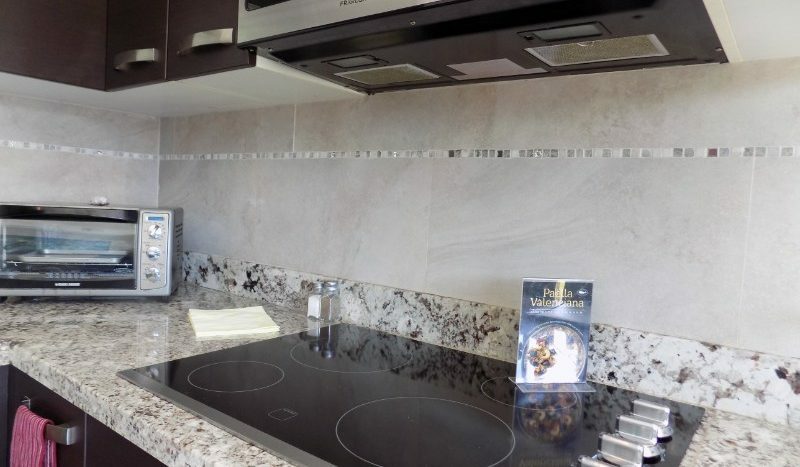 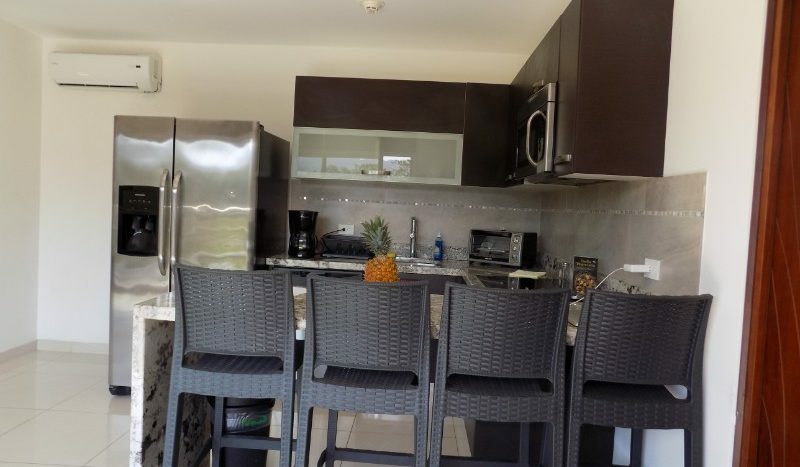 This unit is a modern suite with a complete kitchen with high-grade appliances, living room with sofa-bed, gorgeous marble-clad bathroom, two balconies overlooking the beautiful mountains of Jaco, it is the ideal choice for families or couples. 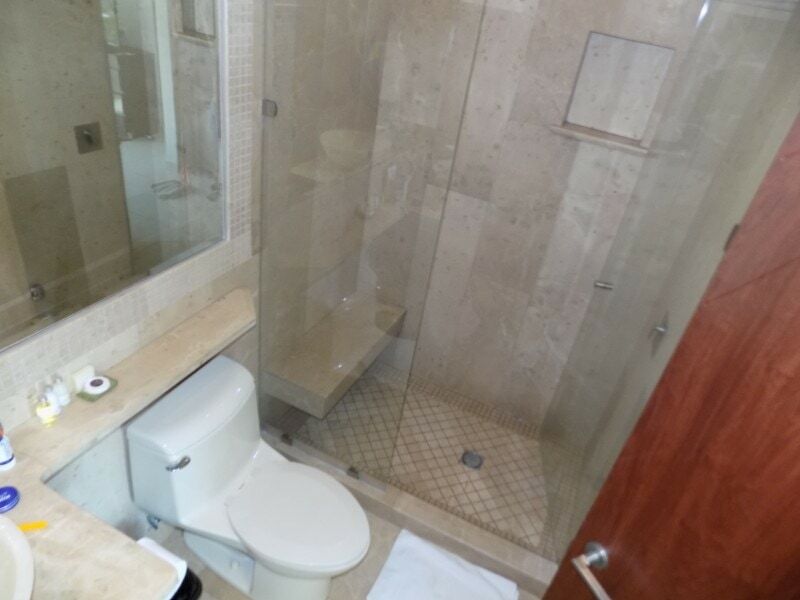 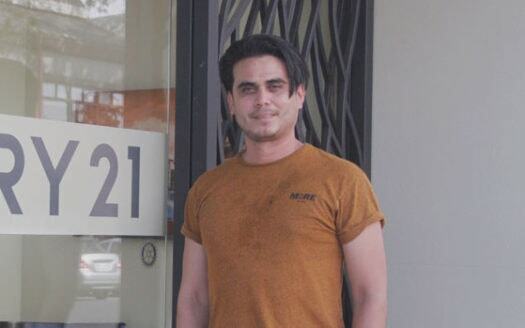 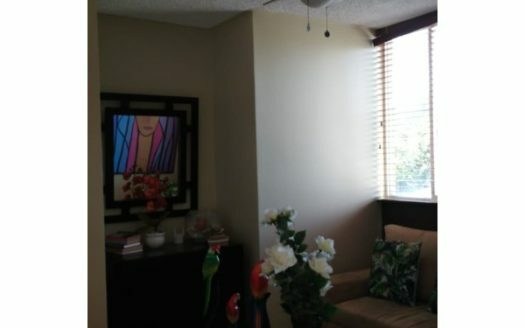 This condo has a lock off the bedroom which can be rented as a private separate unit. 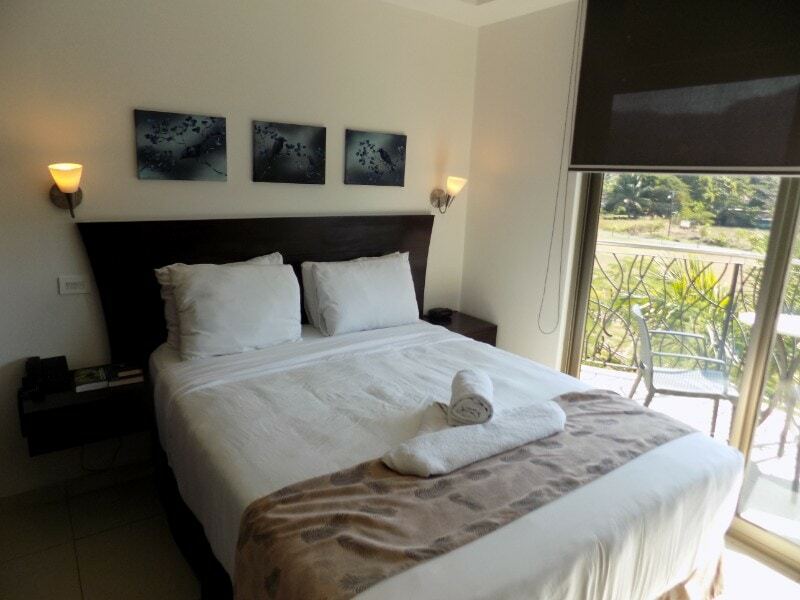 It is the ideal choice for families or couples. 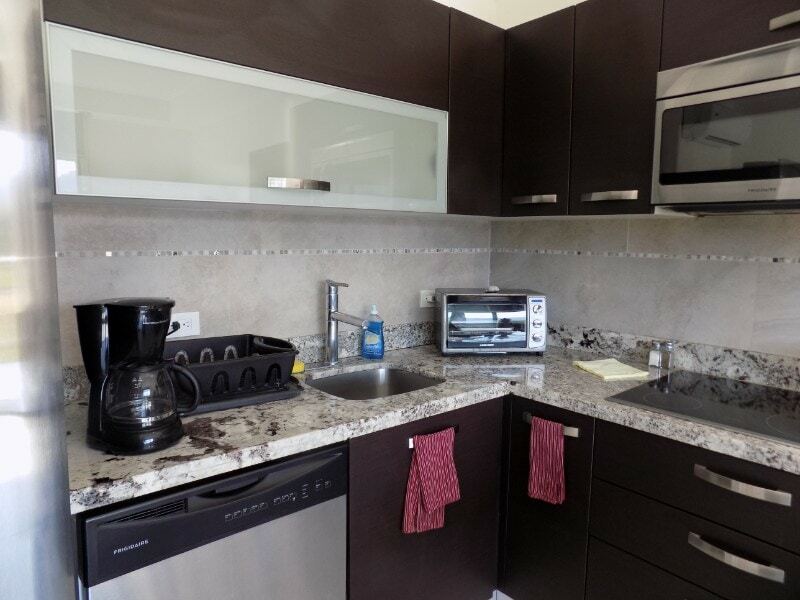 The rental income from the units is shown at approximately $15,849.31 Net.